Is Your Vancouver Condo Delayed? Is Your Lower Mainland Condominium Development Stalled? 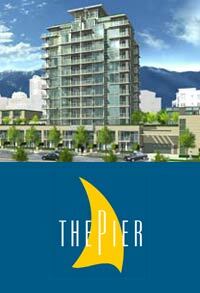 Or Has Your Developer Put Your Vancouver Condo on Hold? Citing problems from building permits to rezoning problems and from slow pre-sales to weather conditions, Greater Vancouver real estate developers have had a tough stretch in convincing pre-build condominium home purchasers that the sky is not falling on the development that they purchased in. Right now, however, the Lower Mainland property market has seen multiple condo projects stall and put on hold and these delayed Vancouver condo developments have put a further dent into the minds and fear of homebuyers. Try to get your pre-sale deposit back or negotiate with the developer. You have legal options. Delay is a subjective word and when it comes to delays in Vancouver condo projects, there are certainly many of these developments at the moment. A Vancouver condo delay basically is a result of lower than expected pre-sales, lower than normal homebuyer satisfaction, developer problems with financing or finalizing condominium residence architecture, design and master plans in addition to delays in trades and materials. Other condo delays in Greater Vancouver real estate market is also caused by slow occupancy permits once the Vancouver condos are completed and ready for move-in. A delayed Vancouver condo project does not mean it is cancelled or does it mean that the property developer or builder is looking to cancel the project. The condominium delay can happen at any time in the life cycle of the project including during Vancouver condo pre-construction, during construction/building, design, and at completion. Vancouver condo delays can be indefinite until the market changes and homebuyers start purchasing pre-build properties again. However, for the most part, the delays in Vancouver condo and real estate projects is due to one or a known number of factors that are mitigated and corrected in order to proceed as planned. A definitive timeline will be re-organized in order to accommodate for a later occupancy and move-in date. The Vancouver real estate development delays in condo projects and townhomes have been the subject of many news headlines during the property boom and its aftermath as most new pre-construction developments did not meet their deadlines caused by a backup in occupancy permits, tight labor market and delay in getting construction materials and interior designers for the finishing touches. Currently, there are many delayed Vancouver condo real estate projects within the city and those are mostly due to lender financing problems and poor pre-sales that have not gotten to the number that is expected for continued financing from lenders. Pre-sale condo homebuyers in Vancouver for delayed condo projects will have their deposits secured in trust and therefore, will remain there until the construction proceeds. With an indefinite delay, this may cause problems as the pre-sale homebuyers may not see their original deposits for months to years. OVERALL IMPACT: Any delays in condo Vancouver development projects is a negative thing from the standpoint of the homebuyer who expects and is looking forward to moving into their new home during a specific time period. Any Vancouver condo project that is delayed also has negative consequences on the Builder/Developer who must correct the problems and focus on completing the project. In many cases, a delay in a real estate project will cost the developer more money and time, and thus eating into their return on investment. As well, pre-sale condo homebuyers have their deposits locked in trust until something budges, either an announcement of cancellation or construction progress to completion at a later date. When a real estate development is put on hold, all sorts of red flags come up to the general public and prospective homebuyers as there is too much speculation happening in the headline news stories. As a project is placed on hold for many reasons, the developer has a choice of releasing the information the it sees fit to make sure that pre-sale condo buyers do not freak out about the news. In many cases, a Vancouver condo is put on hold because of poor pre-sales, meaning that the builder/marketer was unable to secure enough sales prior to construction to proceed with the project. 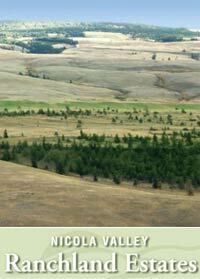 Other factors that force a project to be placed on hold include problems with seeking construction financing. Without lender financing, most Vancouver developers do not have the liquid cash to start and complete a full scale real estate development (nor would they do that even if they had the cash). Another factor can be delayed building permits. In many cases in the Vancouver condo real estate market, condo marketers start advertising and selling pre-sale condominiums even before the last building permits are obtained from city council. With this in mind, and if there are any problems with there permits, a Vancouver condo project can be put on hold until these are sorted out. Other cases have seen Vancouver real estate condo developments on hold because of the market for pre-build condos is very slow. In these cases the hold on the condominium projects can be indefinite, much like in an indefinite delay in the development. OVERALL IMPACT: Again, this creates mass panic and red flags when a developer decides to put a Vancouver condo project on hold. Much like a delay, or even worse, a hold on a real estate development basically means that nothing is really happening until the problem(s) is/are resolved. Whether they are building permits, sales activity and numbers or construction financing, a Vancouver condo project on hold basically means that the development is in limbo and can go either the cancellation route or be delayed indefinitely with pre-sale homebuyers deposits locked into their contracts for a long time. The Aquilini Investment Development Group unfortunately cannot confirm the delay or cancellation of the False Creek Maynards Block condominium development. Set in a historic Vancouver building called the Maynards Block, this property is currently on hold and the pre-sale condo grand opening has been officially delayed. According to Aquilini himself, the delay in the Maynards Block Vancouver False Creek condo project on hold is due to the drop in pre-sale condo sales in the past 6 month in addition to financing issues for those projects that do not get a certain percentage of presale contracts signed before construction begin. The delay in the False Creek Maynards Block Flats and Vancouver condos delay is not due to the trades and material cost. With two mid-rise condo buildings planned and proposed with building permits ready to go, the delayed Maynards Block condos in Vancouver False Creek condo project on hold is not officially cancelled, but Aquilini Investment Group mentioned in a Financial Post article that if the market does not pick up soon, they may turn their attention to converting this delayed False Creek condo project at Maynards Block in to a rental condo building. The hold-up of the Maynards Block Flats really has to do with the timing of its launch, and the offering, both in terms of pricing and location are superb. The up-and-coming waterfront False Creek community is home to many other pre-construction condo development that are currently under building, so the delay and hold-up in the Maynards Block Vancouver Flats are due to this competition for homebuyers. FINAL THOUGHTS: It would be a shame if the Aquilini Investment Group decided to convert the delayed False Creek Maynards Block Flats into a rental Vancouver condo building which they are contemplating if the pre-sale condo market continues to tank. A truly historic building is attractive both inside and out and would become affordable yet luxurious apartment homes in a great community of the future. Updates: June 2009 - Pre-sales events are continuing to sell off remaining inventory for the downtown Vancouver Richards condominiums which have restarted construction. The down times in the Vancouver real estate property market have certainly affected the Aquilini Investment Group Developments, one of which is the Richards on Richards Yaletown Condos in downtown Vancouver that are officially delayed. Right now, because the pre-sale condo market is in the downward spiral with tones of new Yaletown condominium inventory still under construction and completing in the next two years, the Aquilini Investment Group has stalled and delayed the Vancouver Richards Condos that are on hold at the moment. The townhouses and condominiums at Richards Living real estate development is the last prime Yaletown development opportunity with prices of $800 per square foot the norm even a year ago for pre-build projects. A pre-sales condo push on the Richards Vancouver condos in the fall of 2008 went no where, and only a handful of the 226 available pre-sale Yaletown Richards condos and townhomes were sold. This was not enough for the Aquilini Investment Group to proceed with the construction of Richards Vancouver condos, and therefore, it has been delayed until further notice. 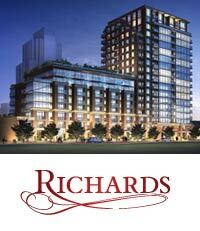 The on hold Vancouver Richards condos and townhomes opened pre-sales on October 27th and nothing has moved ever since. Close to receiving all building permits, the Yaletown Richards condos may never be constructed as nobody at the moment is purchasing new pre-sale homes. As of right now, the delayed Aquilini Richards Yaletown condos may resum pre-sales spring 2009, but according to David Negrin, if people do not purchase any homes, Aquilini development may convert the Richards Yaletown project into a rental condo building. The on hold and delayed Richards Yaletown living condominiums and townhomes may become the first downtown Vancouver rental building to be built in over a decade, but materials and labour costs are still too high even though they have fallen by about 30% in the past year. Until then, there Yaletown Richards condos are on hold indefinitely and are therefore delayed too. FINAL THOUGHTS: The Richards Yaletown condos on hold will probably be converted into a downtown Vancouver rental condominium building, the first of its kind from a major developer in over 10 years. For pre-sale Vancouver Richards delayed condos on hold who purchased pre-builds, your deposits are stuck until Aquilini Investment Group decides on the future of the Richards on Richards Yaletown site. Another unfortunate victim of the financial crisis that developers are facing is the troubled Downtown Vancouver Jameson House condos by Foster and Partners. The Vancouver Jameson House condominiums are officially on hold and delayed, but there is no word from Foster and Partners that the luxury condos at the Jameson House have been cancelled. No cancellation notice has been given to pre-sale homebuyers. The downtown Vancouver Jameson House condos were approximately 73% sold out even with highly priced organic suites, but with the shortfall in financial lending as the prime lender for the Jameson House backed out during construction, the delay has been long and annoying. As one of the iconic landmark Vancouver condo buildings in terms of design and architecture, the pre-sale Jameson House Vancouver condos on hold have now been delayed with no new news coming forth from the developer or the marketer at Rennie Marketing Systems. A striking glass design and an impressive new organic floorplan design, the Vancouver Jameson House delayed and condos on hold will be missed. FINAL THOUGHTS: The Foster and Partners Jameson House Vancouver condos on hold have been delayed now for about six months with no progression in financing or updates and with each month of inactivity, there is much speculation that the Vancouver Jameson House condo development has been cancelled. We hope not. 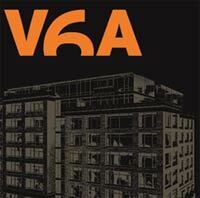 The Onni V6A Strathcona condominium development was unexpectedly put on hold indefinitely in October 2008 amidst rumours that the project had already been delayed from the developers and sales marketing team point of view. However, pre-sale homebuyers were not notified and continued and Onni continued opening their sales office and signing contracts. Under investigation, the V6A Strathcona condos were put on hold indefinitely after allegations of wrong doing, but no legal action has ever been pursued. Of the 128 historic Vancouver condo building suites available, only about thirty per cent of the pre-sale V6A condos in Strathcona Vancouver real estate market were pre-sold, and that was not enough to push the V6A Onni condos forward into the construction phase. As of June 2008, groundwork and digging had already begun at the V6A condo site, but the project at V6A by Onni was put on hold indefinitely until real estate market conditions improve. Because of its location in the up and coming Strathcona community which is still quite sketchy, homebuyers were turned off by not only the close proximity to the downtown Eastside run down buildings, but also because of the steep pre-construction condo pricing at the now on hold V6A condos by Onni Group of Companies. 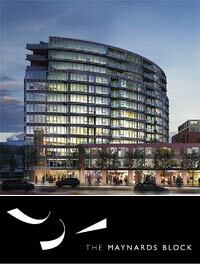 In any event, the Onni project is now officially on hold at V6A Strathcona until further notice from the developer. FINAL THOUGHTS: The nine-storey high-rise Strathcona Onni V6A condo development is now on hold indefinitely with the possibility that the project will be cancelled if the market conditions do not improve this year. Pre-sale homebuyers at the on hold V6A condos have their deposits locked up in yet another delayed Vancouver downtown real estate project and they can’t do anything about it. As with the luxury waterfront Pinnacles Residences at the Pier in North Vancouver’s Lower Lonsdale community, the Pinnacle International developers have delayed the pre-sales for this development citing some issues surrounding the subdivision of the site. 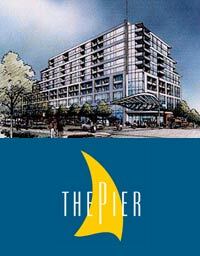 According to the City of North Vancouver, Pinnacle International has met every regulation to continue working on the Pinnacle Residences at the Pier lower Lonsdale but have chosen not to, starting speculation that the developer is in trouble with financing. The stalled Pier Development is citing the problems with the subdivision of the waterfront site that will include a luxury five star hotel, Maritime Museum, shops, retail and office space. In typical fashion as well, Pinnacle International has completely overbuilt a neighbourhood of Lower Lonsdale North Vancouver that was not ready for such an influx of new residents, overbuilding the area and causing sales volumes to go down and housing values to plummet. The Pier Lower Lonsdale is a great development site, but the quality and finishes of Pinnacle International are not up to par with other waterfront Vancouver real estate sites, and hence the slow sales. FINAL THOUGHTS: The Lower Lonsdale Pier North Vancouver real estate development is certainly one of those landmark property projects that will complete. However much delayed or put on hold, both the Pinnacle Residences at the Pier and the Atrium West and East Pier Lower Lonsdale condo towers will be complete within the next few years and offer luxurious waterfront condo living to hundreds of new residents to the North Shore, a welcome addition to a market that is already tight in housing. If you think that the addition of the West Georgia Cosmo Condominiums by Concord Pacific will be a welcome addition to the thoroughfare anytime soon, think again. Concord Pacific has placed the already delayed Cosmo Vancouver downtown condo project officially on hold, citing slowing pre-sale condo homebuyers and a flattening market. It is now officially stalled and some real estate speculators think that Concord Pacific will just cancel this high-rise downtown tower residence if the market doesn’t pick up in 2009. It’s an unprecedented market said their CEO and with no condos being sold over the past 6 months, the inventory is too high for the Cosmo Concord Pacific delayed project to proceed. 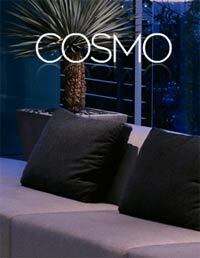 A pre-sale marketing launch for the West Georgia Vancouver Cosmo Condos failed miserably, with very few registrations and expressions of interest. Right now, the delayed Cosmo Vancouver condos developer, Concord Pacific, will wait it out for another few months to see what the market is doing. FINAL THOUGHTS: Another high-end condo tower in the heart of downtown Vancouver will not make it into construction or pre-sales anytime soon. The recent glut in new luxury condo properties in Vancouver have flooded the re-sale and assignment condominium markets, making it an easy decision for Concord Pacific to delay the Cosmo Vancouver condos and place it on hold indefinitely. The Millennium Development Group is in hot water right now with the fiasco taking place at the 2010 Olympic Village in southeast False Creek, so you can’t blame this developer for the hold on the West Vancouver Evelyn Condos project which was officially delayed October 2008 citing problems with the slope foundation and pouring the foundation in the wet/cold weather. Usually, this is not a problem, but that was the official word on the delayed West Vancouver Evelyn Condominium that had not started pre-sales. However, pre-sale condo marketing and advertising had started and Rennie Marketing Systems had announced that there were thousands of registrations for this new West Vancouver Park Royal real estate development. The Evelyn West Vancouver condos are in a great location close to Park Royal, but next to the highway, which brings about lots of noise and people. As of right now, the Millennium Development Evelyn West Vancouver condo project is delayed and put on hold temporarily. The developer and Rennie Marketing said last year that sales may start later in the spring of 2009, but as of this point, that timeline too, may be delayed for the new Evelyn West Van Drive condos. 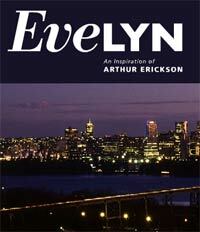 FINAL THOUGHTS: A ground breaking West Vancouver real estate development at the delayed Evelyn Drive condominiums by Arthur Erickson and Millennium Developments would have relieved some of the pressure from the lack of affordable and new housing on the North Shore. However, with reassurances that the West Vancouver Evelyn Condo pre-sales will start in 2009, a delay in this North Shore development may be a good thing as the real estate market settles down. The foreign developer, Jung Developments Inc, produced a bomb of an announcement when they said that the almost sold out high-rise tower residences at the Surrey Sky Towers in Surrey Central were being put on hold in September 2008. This is the largest real estate project in Surrey’s history. The developer, Jung Development, filed for protection from creidtors and sought major refinancing. The first tower was finished and occupied, but the two towers are under construction and on hold at Infinity at SkyTowers. 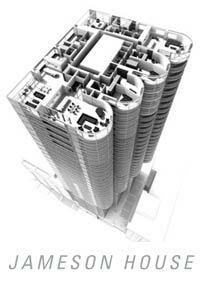 The final two cancelled Surrey Sky Towers were in zoning approval but not on the market. MAC Marketing Systems handled the sales and mentioned that the on hold Infinity at SkyTowers requires about $100 million to complete. With the Infinity SkyTowers condo already complete and with the two upcoming large scale highrises just starting groundwork, Jung Developments decided to pull the plug on the remaining two Sky Towers Surrey and put the project on hold. Placing the SkyTowers Surrey condominiums on hold affected hundreds of pre-sale homebuyers as the total master planned community was going to develop over 900 new condo homes in the downtown Whalley, Surrey Central real estate market. Affordable pricing and an up and coming location, the delayed Surrey Sky Towers have not updated their stance on this delayed construction yet. FINAL THOUGHTS: Pre-sale homebuyers have their money stuck in an investment that is neither appreciating in value or even under construction which is frustrating for anyone who owns a Surrey Sky Tower condo unit that is delayed. Bad developer, bad location and bad result. The largest Greater Vancouver residential development is on hold at the Surrey Infinity condos by Jung Developments which has filed for bankruptcy protection. Citing problems with increased trades and material costs, the pre-sold out condominium tower residences at the Infinity Surrey condominiums were put on hold in August 2008 when it’s lending partner, the Lehman Bros of the United States went other. With no backup financing and no other lender wanting to take over, the Jung Developments Surrey Infinity condos were placed on hold and delayed indefinitely even to this day. The developer is not bankrupt, however, times are looking quite gloomy as there have been no updates from Jung Developments or the marketer for the Surrey condos on hold at Infinity Towers. At 36 and 40 storeys, the two condo towers at Surrey Skytowers on hold development were to be the tallest condos in Western Canada outside of Calgary and Vancouver. 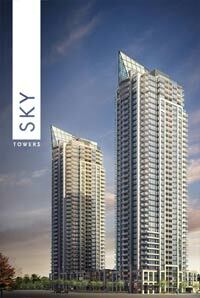 Booming sales lead to a sell out on opening day here at the delayed SkyTowers Surrey on ohld condos. 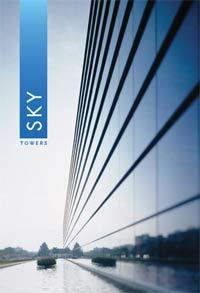 By October 2008, Jung Developments failed to secure financing and building permits required to complete meaning that 880 pre-sale condo buyers at the delayed SkyTowers Surrey Central had the option of pulling out. More than 560 pre-sale homebuyers have their deposits in limbo at the moment as construction is stalled and the Surrey real estate project continues to be on hold with no end in site. Locked in to their purchase price and with no way of getting their deposits back, we expect many people to default and walk away from their pre-construction contract purchases. FINAL THOUGHTS: Jung Developments is in trouble and the Surrey condos on hold at Infinity Towers represents another reason to do your due diligence on developers and builder history as well as to weigh the difference between a pre-build or a completed residence. Located at Marshall Road and McCallum Road in Abbotsford real estate market, the Brio Condos by Matsqui Land Corp featured 174 pre-sale units. However, the developer didn’t get enough pre-sales as the Brio Abbotsford condos on hold were selling at too steep the pricing when compared against other developments in the area. Construction crews abandoned the 28 storey Abbotsford Brio project on hold/delayed in March 2008 which was advertised as the tallest residential condominium tower between Surrey and Calgary. The failure to find luxury home purchasers for units up to and over $1 M was part of the major problem fro Matsqui Land Corp who didn’t have enough construction financing to proceed with the delayed Brio Abbotsford condos on hold. Special incentives with luxury cars and valet parking didn’t enhance sales here at the delayed Brio Condos and when the average price of a condo is $180,000 in Abbotsford, and the developer was asking for 10x as much in some cases, homebuyers for pre-sale condos stayed away. 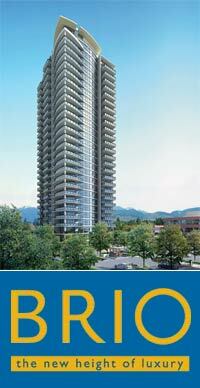 Only 20 of the 174 units at the on hold Brio Abbotsford condos were pre-sold. FINAL THOUGHTS: All of the presale Brio Abbotsford condo purchasers received their deposits back with interest. 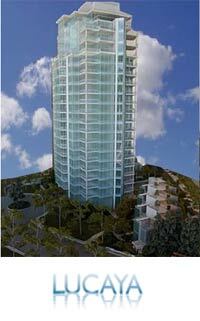 The condo residential tower at Abbotsford Brio was to be completed by April 2009. There is no word from the developer as to if and when the Brio project may start again. The pre-construction Kelowna 24 condos have been now approved for building and the presentation centre and sales model suites will open shortly this year. The Aquilini Development Group has postponed the launch of several Greater Vancouver condo projects, and the new Kelowna 24 condominium development falls into the delayed/holding pattern project. 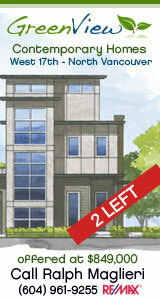 As of February 2009, Aquilini himself was quoted as saying in the Financial Post, that the Kelowna 24 Condos pre-sale condominium project is on hold because of the economic turmoil, credit financing and fewer pre-sale home buyers willing to put down deposits on condo homes that won’t be completed for a couple of years. 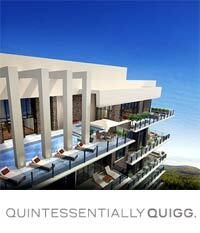 The Aquilini 24 Kelowna condos on hold are now delayed indefinitely until the market changes. Unlike the Vancouver condo properties which maybe cancelled and converted into rental properties, the presale 24 Kelowna condominiums on hold have not mentioned any such change in use.